This page covers Restraining Orders for domestic violence (DVRO), civil harassment (CHRO), elder and dependent adult abuse, and school and workplace violence. For other types of civil restraining orders in civil lawsuits, see our “Injunctions and Restraining Orders” page. California law provides protections against abuse. 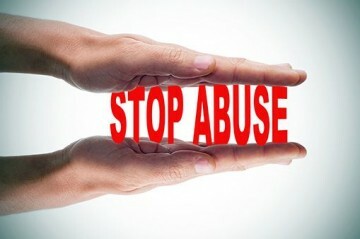 Abuse includes physical or mental abuse, threats, harassment and stalking. Restraining orders are available for protection from domestic violence, civil harassment, elder abuse, workplace violence, and school violence. The court offers a free workshop on form preparation. A Spanish Interpreter is available at the class. This class is for both men and women. No appointment is necessary. Admittance into the workshop is on a first come, first served basis. Be prepared to spend the entire day to complete the restraining order process. Services are statewide and free of charge. We can assist callers in any language. Free legal information about victims’ rights and resources available to victims. Referrals to local, state, and nation’al organizations that can provide assistance. The VCRC also offers free presentations on a host of victim related topics. Presentations can be tailored to your organizations’ needs. Presentations can be in-person or via web conferencing. The VCRC publishes multiple brochures on a variety of topics, including Marsy’s Law, elder abuse, domestic violence, and victim services. These brochures are available online and in print free of charge. No legal advice over the phone, only legal information. No assistance with divorce, custody, and spousal/child support related matters. Contact the 1-800-VICTIMS(842-8467) phone line. The Judicial Council creates some forms used in seeking protection from abuse. The Sacramento County Superior Court has created a variety of forms and instructions packets. For other situations, you may need to create your own forms. Our Legal Research Guides and Step-by-Steps have instructions and samples for many commonly-used forms. Answer a series of online questions and the web page will fill out forms for you to print out and file. Which type of restraining order do I need? These websites provide information on restraining orders and abuse-related topics. Free online videos from the California Courts on abuse-related topics.